With great pleasure we invite you to enjoy the happiness of being in Dzamling Gar together! 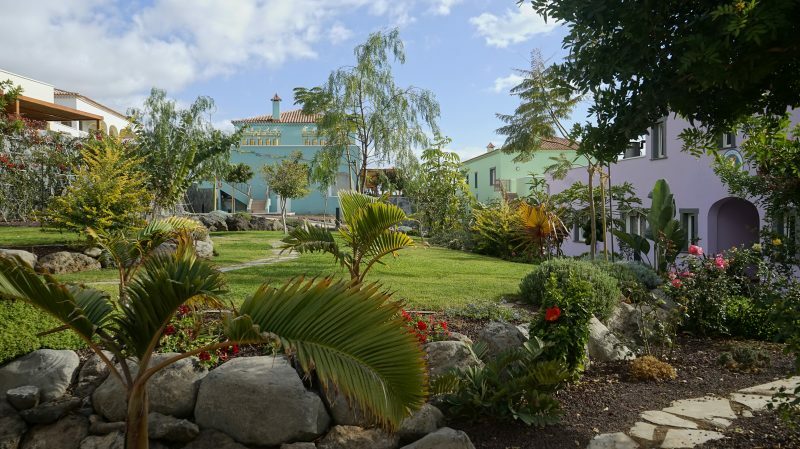 Staying at Dzamling Gar, the global base of the International Dzogchen Community in Tenerife, is a precious opportunity created by our dear Master Chögyal Namkhai Norbu for Community members. It is a wonderful chance to participate in various activities conducted here, arrange your personal retreats, attend regular practices and simply have a joyful vacation while sharing these beautiful moments with the Vajra family. It is also an opportunity for everyone to contribute to the maintenance and development of the whole Dzamling Gar project. The territory of the Gar is located near the ocean and offers various spaces for dances, yoga and other practices, a beautiful garden, a children’s playground, a swimming pool, a cafeteria and other facilities that will make your stay unforgettable. We are very fortunate to have a few more precious months of Rinpoche staying in Dzamling Gar this season. There are also more retreats and courses to come, including a Yantra Yoga course on the 1st and 2nd groups of Yantras with Maxim Leshchenko (April 25-29), a supervision course of The Vajra Dance that Benefits Beings with Adriana dal Borgo (May 4-6), Dream Yoga with Michael Katz (beginning of June), and more. It is truly a special opportunity to stay in our global home and enjoy its beautiful fruits together. We offer special discounts until the 31stof October 2018 and additional offers for long-term reservations during this period. *Recommended contribution covers the expenses of construction, furnishing and maintenance of the houses. If you are an active member of the Dzogchen Community you can reserve accommodation by sending a request to the Booking Manager of your Gar. The General Manager can also accept direct bookings, but no more than 14 days prior to the reservation date. AS SOON AS POSSIBLE, IN A RELAXED MANNER, COME TO DZAMLING GAR!